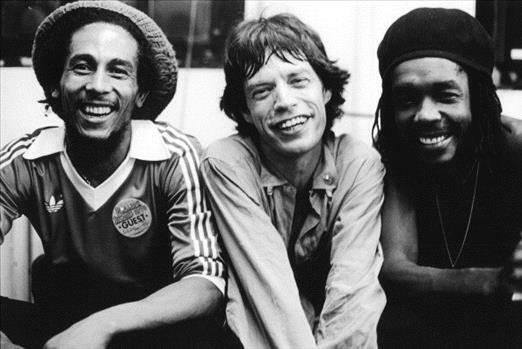 Bob Marley, Mick Jagger, Peter Tosh , Backstage At Palladium . Photo By Michael Putland / Getty Images. Peter Tosh & Word Sound And Power played there in New York. 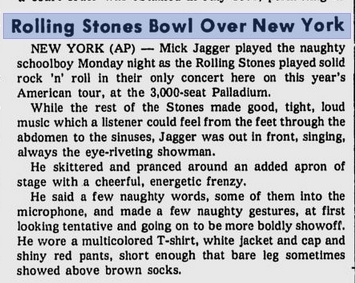 This event was a private concert for the press and fans with limited access.Fans had to write to WNEW Radio to learn about how to get a ticket. Peter Tosh played Dont Look Back and was joined on stage by Mick Jagger. - Peter Tosh & Word Sound And Power set didnt surfaced to nowdays.